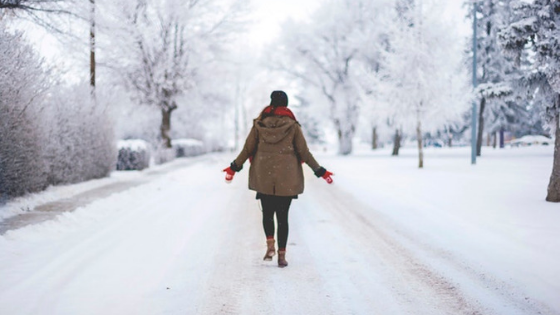 While it's true that winters are often something the residents of our Chicago apartments wish away when temperatures get super frigid, this season is also one of the most spectacular times of the year in the Windy City. Since we still have a little while before spring officially settles in, we've found a few ways you can enjoy what's left of winter. Nobody said you have to be stellar on skates to enjoy the experience of an outdoor ice-skating rink. In fact, if you can barely stay vertical atop the blades, you'll fit right in with tons of people who are putting their own skills to the test. Whether you head to a local park or take an urban hike by hitting the city sidewalks, a steaming cup of hot cocoa should accompany your stroll. It's important to get outside and enjoy some fresh air, but it's also important to keep your body toasty and warm. Hot chocolate has a way of adding a childlike whimsy to an ordinary day, especially when winter's still on the calendar for a few more weeks. Although the zoo is home to many types of animals all year long, certain species are more likely to spend time outside when the thermometer is still on the lower part of the scale. If you're bummed that the polar bears and penguins never seem to want to come out and play when you visit the zoo in June, schedule a trip to their habitats in the winter instead. Just as the zoo has an alternate personality when winter settles in, fauna and flora showcase different sides of themselves during this part of the year. Some of the flowers you're used to may be deep in a slumber, but you'll likely encounter a few plants you didn't even know exist. As an added bonus, the Botanic Garden tends to be a lot less crowded when it's cold. One of the best ways to enjoy Chicago's winters is from the comfort of your own beautiful downtown apartment. Take a look at the views our North Harbor Tower apartments could offer you!